How would it be to spend more time and attention on YOU? An A-Z for your life is about life and is for anyone who wants to get more out of theirs. It contains insights, observations, reflections, suggestions and many questions. Read and reflect on what it might mean in your life. Give yourself the time and space to allow your individual self to flower. Enjoy. Modern life is complex. Lifestyle is no longer a fixed idea but something you need to make choices about. The world offers many different ways of existing and you need to give yourself time to figure out who you are and what you are longing for. In the past you were likely to have a job, a family and a home. All of these are still available but they are all being redefined and you need to know what it means to you. Is it about making money or finding your purpose? Are friends more like family to you and can you have more than one home? These are just a few of the questions this book will raise in your mind. 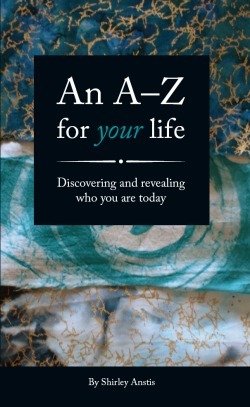 Please fill out your details below to receive your FREE chapter NOW and decide if An A-Z for your life is the book to help you explore YOUR life. This chapter is yours to keep.